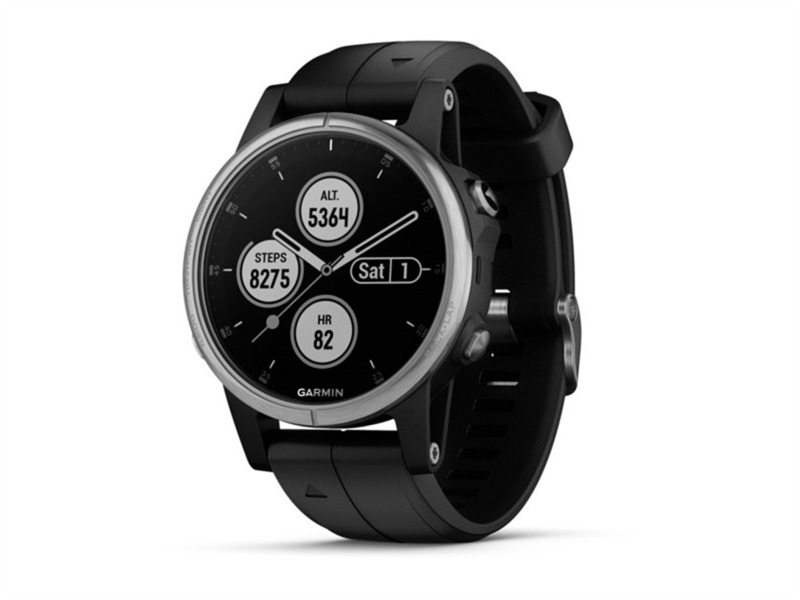 Garmin's line of high-end smartwatches just got a major upgrade. 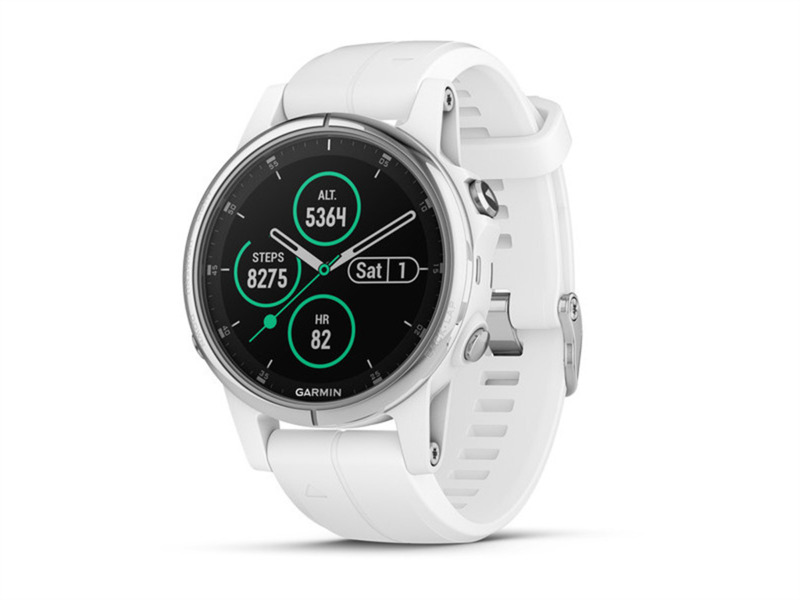 On Monday, Garmin unveiled its series of Fenix 5 Plus smartwatches. 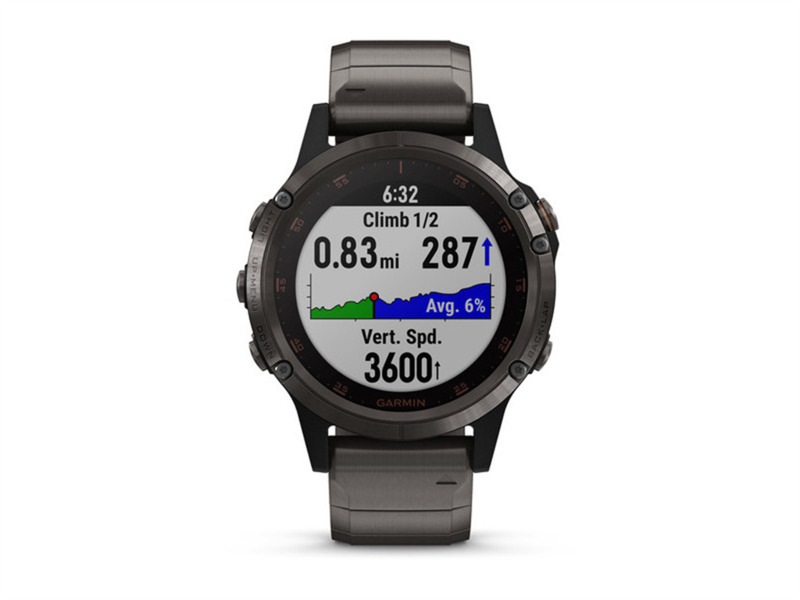 The three watches — the Fenix 5S Plus, the Fenix 5 Plus, and the Fenix 5X Plus — are upgrades to Garmin's Fenix 5 line, which it launched last year. 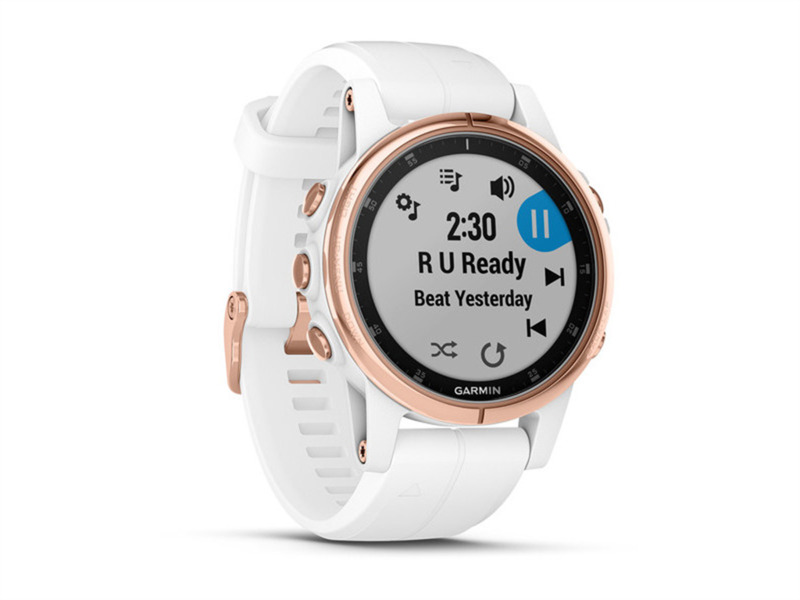 The new watches start at $700 (R9,600) in the US and have new features like on-watch music storage, advanced GPS mapping, and contactless payments. 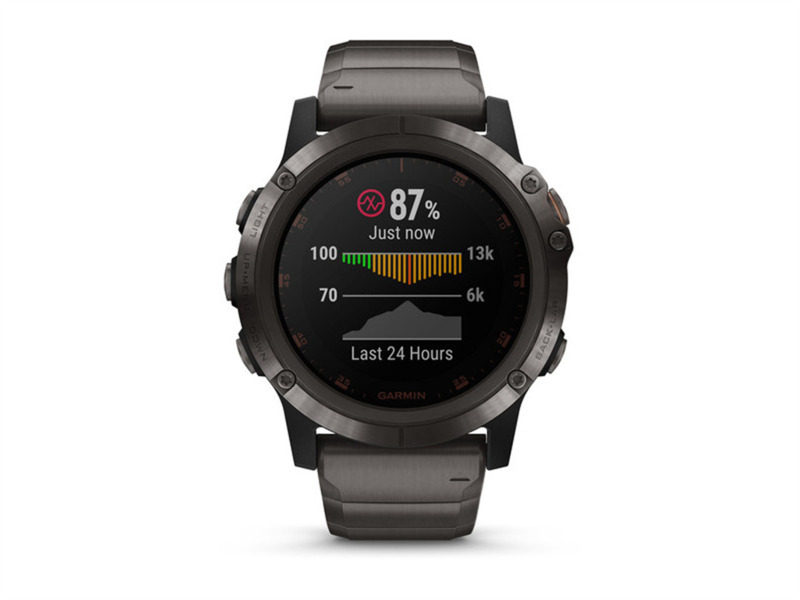 Garmin also added a pulse oximeter to the Fenix 5X Plus, which means the watch can track your blood oxygen levels while you're working out in high altitudes. Here's Garmin's Fenix 5 Plus series: the Fenix 5S Plus, the Fenix 5X Plus, and the Fenix 5 Plus. You'll be able to get calls, texts, and email notifications on all three watches. The Fenix 5S Plus, with a 42 mm case, is the smallest of the three watches. 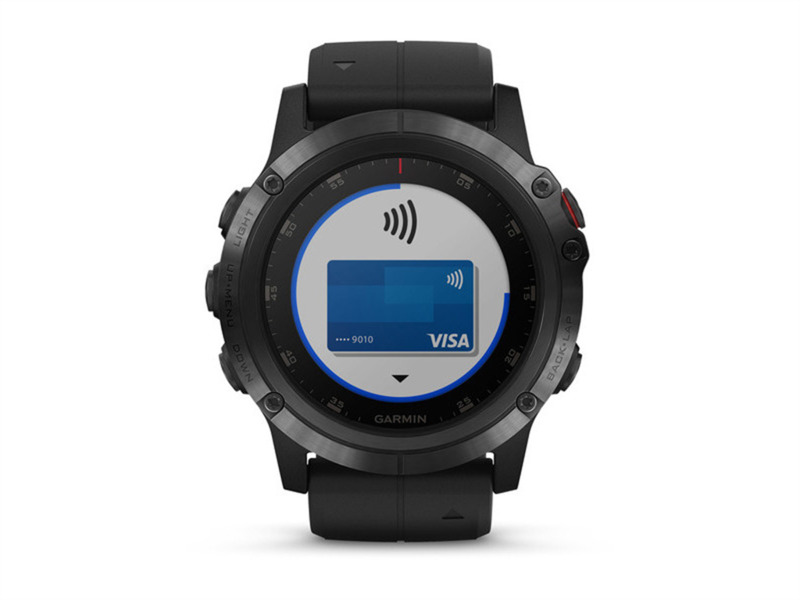 The watch is made for smaller wrists, but Garmin says the display is now 20% larger than the previous version, the Fenix 5S. The Fenix 5S Plus comes in silver, black, and rose gold. The rose gold version is pricier than the black or silver. Those versions start at $800, while the rose gold option starts at $850. But if you're willing to sacrifice the scratch-resistant sapphire lens, you can get the silver Fenix 5S Plus — and the Fenix 5 Plus — for $700. 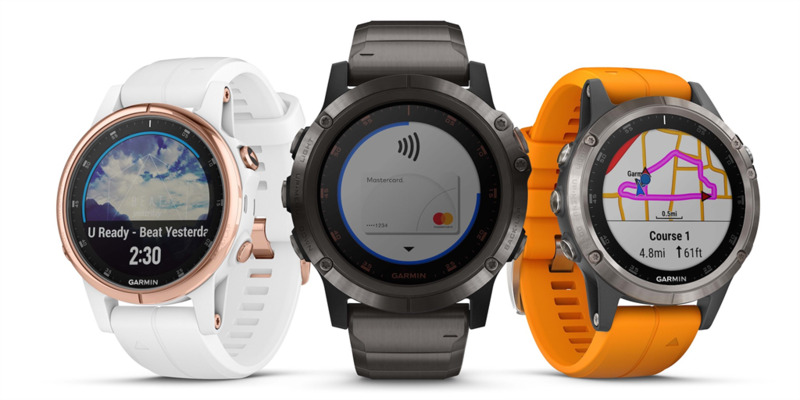 Garmin says the Fenix 5S Plus will get up to seven days of battery life in smartwatch mode, but only about four hours of battery life in GPS and music mode. The Fenix 5 Plus is the mid-size watch. It has a 47 mm case and comes in black, carbon gray, and titanium. The Fenix 5 Plus starts at $800, but the carbon gray titanium version is pricier — it starts at $1,100. 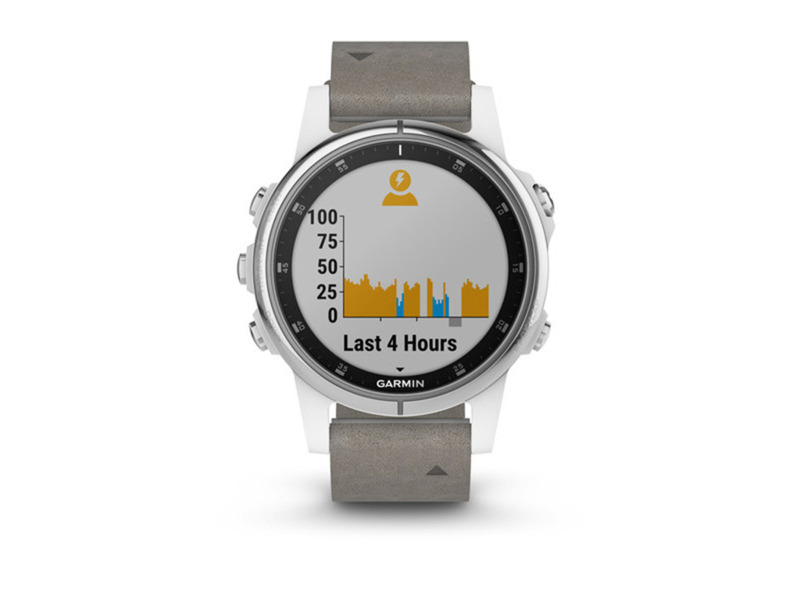 Garmin says the Fenix 5 Plus will get about 10 days of battery life in smartwatch mode, and closer to eight hours if you're using GPS and music. The largest watch, the Fenix 5X Plus, comes in black and carbon gray titanium. The black version starts at $850 (R11,650), while the carbon gray option starts at $1,150 (R15,755)— the most expensive out of all the Fenix 5 Plus watches. The Fenix 5X Plus is also the biggest and heaviest of the three watches. It has a 51 mm case and weighs either 87 grams or 96 grams, depending on whether you get the carbon gray titanium or black version. The Fenix 5X Plus has the best battery life of the three watches. 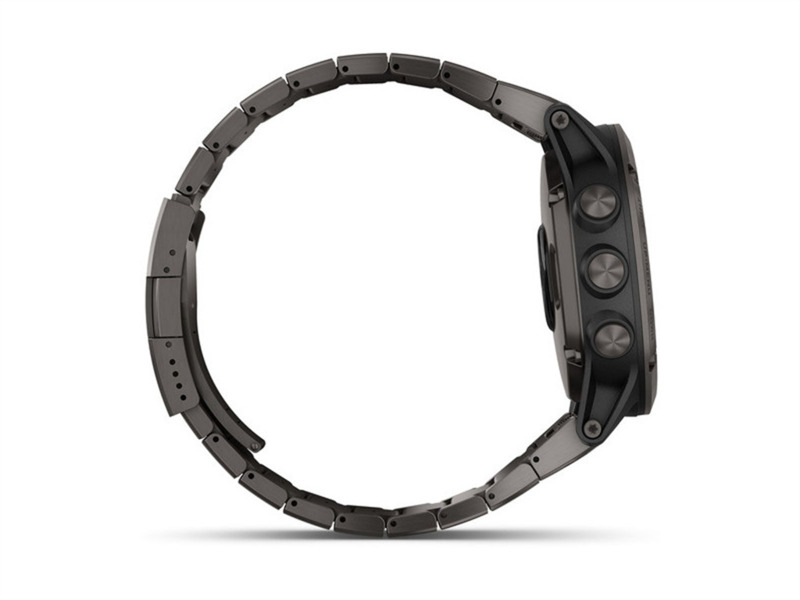 It can get up to 20 days in smartwatch mode and 13 hours when you're using GPS and music. 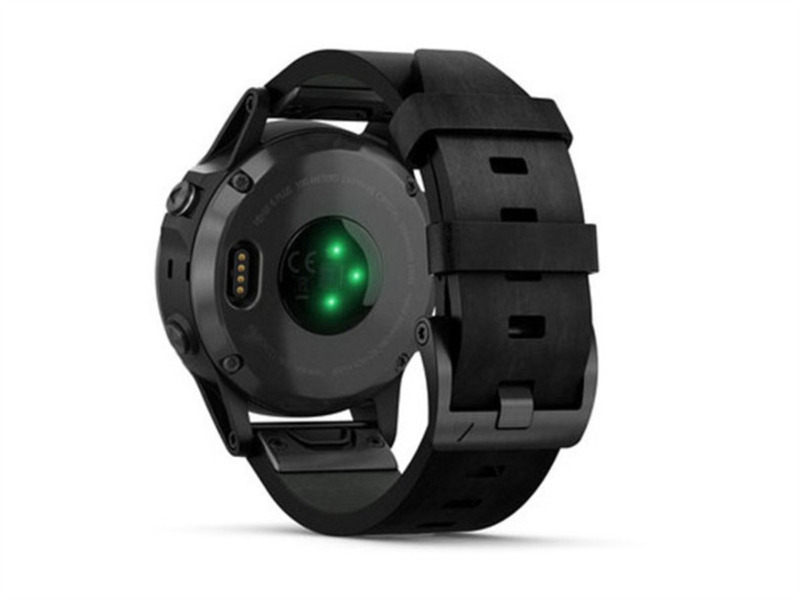 The Fenix 5X Plus is the first Garmin wearable to have a pulse oximeter built in. 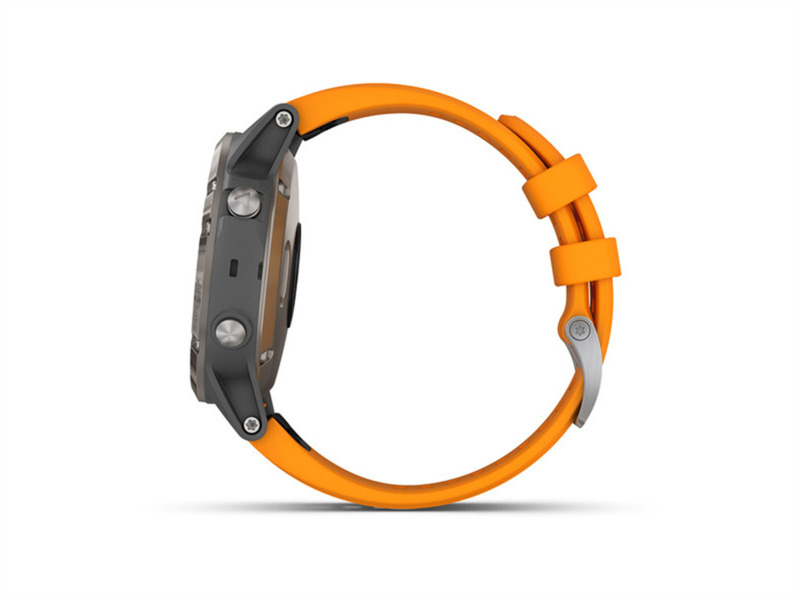 The sensor measures blood oxygen saturation levels, which is perfect for high altitude activities. 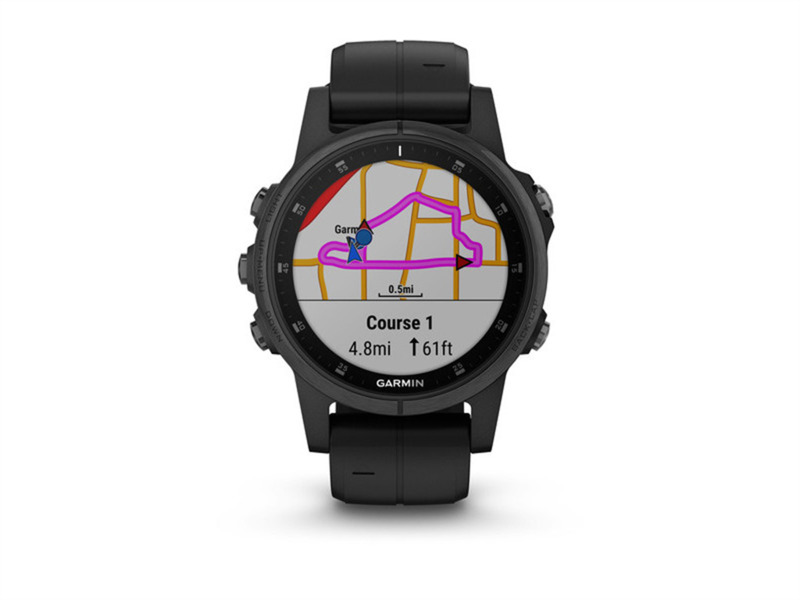 The Garmin Fenix 5 Plus series works with both Android and iOS devices. All three watches are available to order now on Garmin's website.